I just completed Oh My Ghost!!!!! Like, JUST. I like the storyline better than WWWSKim but the latter is from a webtoon so that explains the super lame plot lah. Thankew for all the recommendations. I’m gonna find a third one on Netflix to binge watch right after this. I wrote a post a long long time back on procedures I’ve gone thru to look better like braces and stuff and I finally got to try something I’ve ALWAYS wanted. I’ve always envied girls with a small jaw line. I can’t help it. 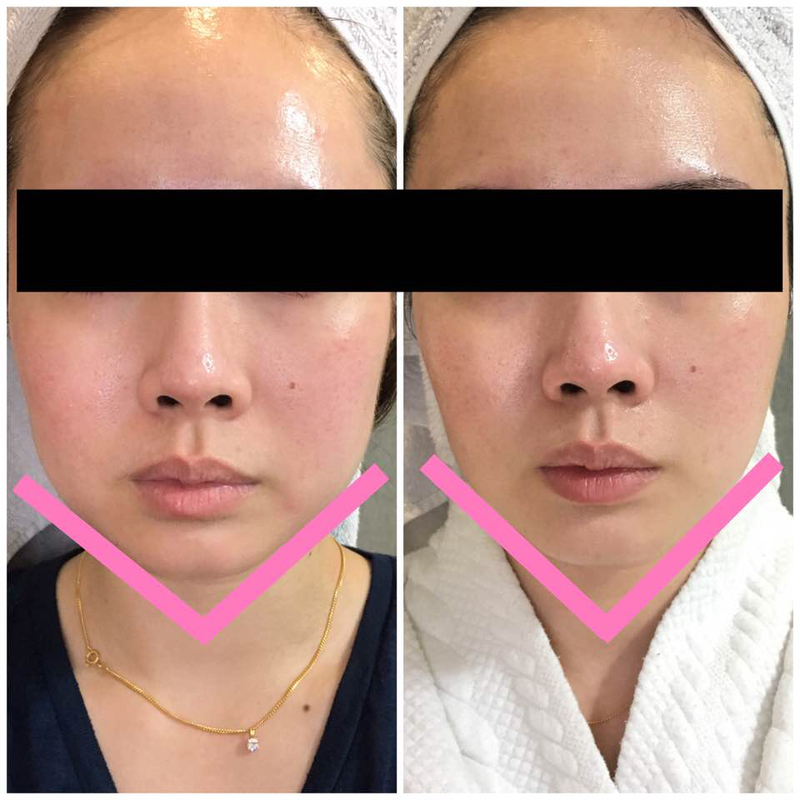 I have a very squarish jaw line due to my jaw muscles and I do not and will never have the guts to undergo the knife so my second option is Botox! Botox is a brand of Botulinum Toxin and there are apparently many brands. Dr Rachel used the brand Dysport for me cause it diffuses more than Botox and less injection points are required. I never even knew there were different brands. 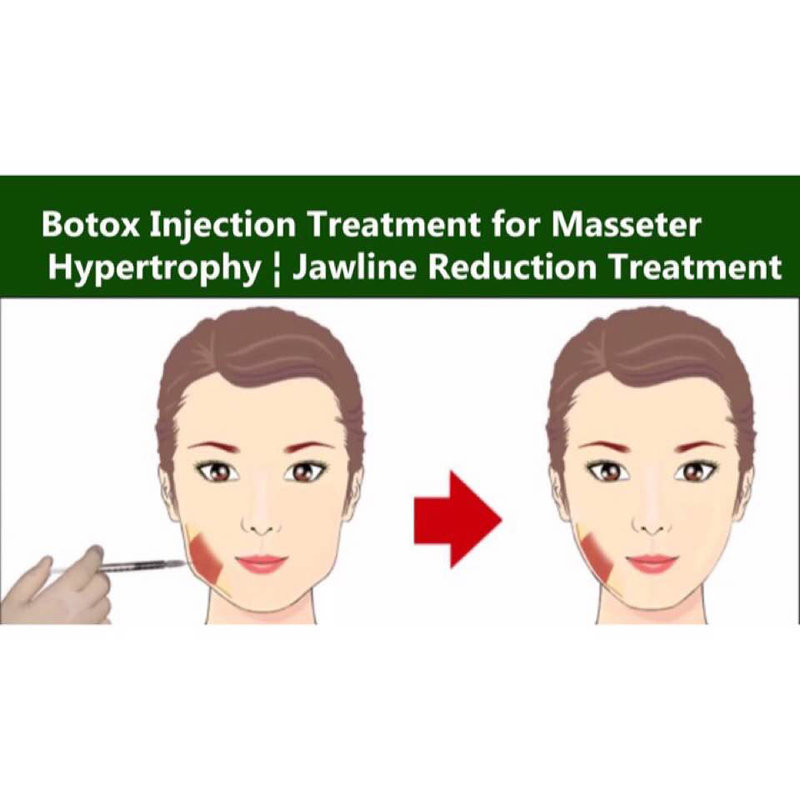 When Botulinum toxin is injected into the masseter muscle, it will relax the muscles and over the next few weeks, it will shrink and become smaller. I have issues with grinding my teeth & clenching my jaws when I sleep which leads to enlarged, bulkier muscles and therefore, a wider face shape. For some people, it’s bone structure but for me, my larger face shape is largely contributed by my overdeveloped jaw muscles. I have been teeth grinding since young and braces didn’t change that...sadly. It took me around 2-3 weeks to fully see results but a regular time line is 4-6 weeks. The results can last up to 4-6 months and the muscle might return to its original bulky size but with consistent treatment, the muscles can gradually lose the habit of grinding and therefore, reduction in size naturally. The actual process took like, a couple of minutes and it was over before I knew it? The area was iced but I’ve always had an okay pain tolerant so this was really nth imo. Dr Rachel explained that there might be slight bruising but I didn’t experience that at all! I couldn’t even see the injection marks to be honest so no downtime, no recovery period needed for me personally. The muscles on my right size are bigger and I had a higher unit injected there to balance it out so the amount each person requires vary. Dr Rachel was the one who decided the amount needed to balance my face shape out and this is really why u need an experienced doctor! 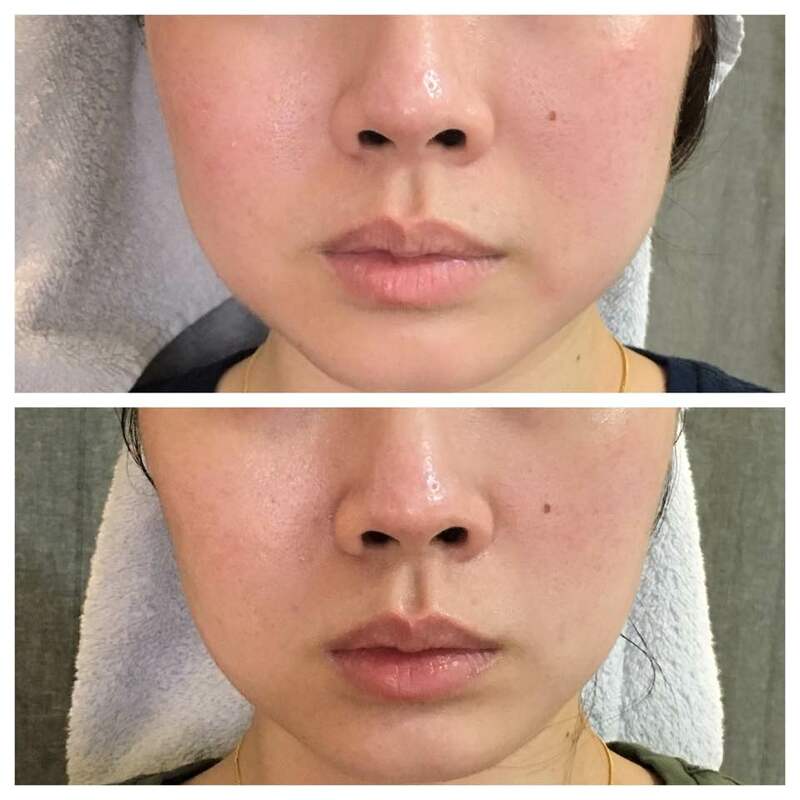 The after is taken after 4 weeks and the results made me so happy, I wanted to cry. I always overwork my right-sided muscles unconsciously so I feel like it didn’t subside as much as the left but results were still significant. I didn’t lose any weight during this period (and my aunty asked if I did) but my face slimmed down SO MUCH. I was so impressed and I felt so much more confident. I wanna try chin fillers to give me a sharper jawline and I also wanna try nose threadlift. I also wanna try HIFU. Yes, I wanna try everything available (except lip fillers) in the beauty industry as long as they are not permanent lah. Lip fillers are just not my thing. Didn’t want my crazy brows to distract y’all lol and I had a harder time than I thought drawing those damn lines to line & rest accurately against my jaws but I did it and u guys can now see the comparison! I love how subtle but significant the change is and my husband is very relieved I didn’t turn into a expressionless person 😂 I guess that’s what a lot of guys relate the word ‘botox’ to. It just makes me less self-conscious and not always using my hair to hide my jaw lines. I don’t think I can ever have a tiny face lah but this is really v good for me liao. I like being able to smile widely without worrying about the extra jaw muscle protruding at the sides that makes me seemed fatter than I really am leh. I hated hated hated it ok. I like that there’s a less invasive solution compared to shaving off my jaw bones HAHA that one really sounds as scary as it reads man. I’m going for my fractional laser in LESS THAN TWO WEEKS and ohmo I’m so excited and hopefully I see good results! Some of u have DM-ed me after my last post on Qswitch laser and told me that FL showed better results for scarring and I’m really v v v excited to go for mine. I’ll keep u guys updated on this!